A captivating collection of the origins and meanings of traditional sayings from the folklore of the countryside. Many of the popular, often prophetic, phrases that we use on a day-to-day basis have their roots in traditional folklore, such as: 'One swallow doesn't make a summer'; 'March comes in like a lion and goes out like a lamb'; 'One for sorrow, two for joy'. Such common idioms are familiar to most people, but their history and origins are far from well known. 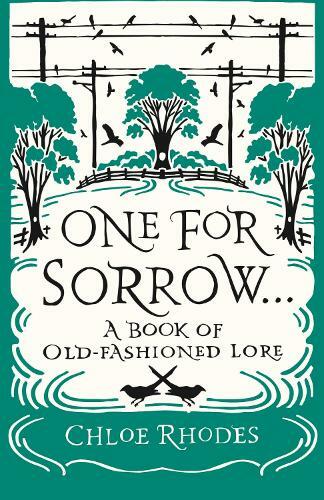 However, in One for Sorrow readers will discover that there is a wealth of fascinating stories and history behind them. This charming book is filled with sayings, legends and proverbs derived from the oral history of the countryside and unveils how they came about, what they mean, and how they came to be such a big part of the language we use today. Written with a light touch and expert knowledge, it will entertain and inform in equal measure - the perfect gift for anyone with an interest in the rich and varied heritage of the English language.